Our hotel is known to provide the best cuisine in the Siem Reap - from traditional Khmer dishes to French cuisine with a twist. Le Méridien Angkor international cuisine holds an excellent reputation in Siem Reap. Menus are composed out of a mixture of Western and Asian delights. The Executive Sous-chef, Kosal, supervises the Khmer (Cambodian) traditional dishes. 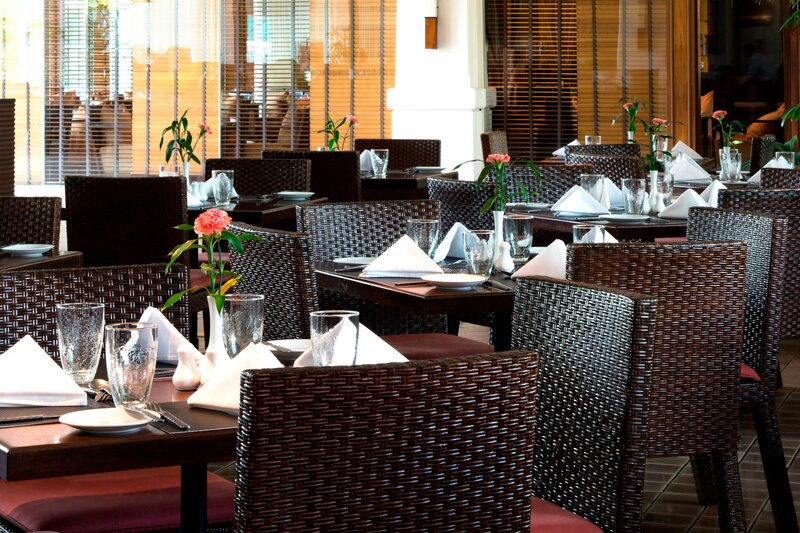 Le Méridien Angkor is also known for its Italian cuisine. Our cosmopolitan restaurant L&apos;Angelo serves a more creative modern Italian cuisine alongside the best international wine list in Siem Reap. 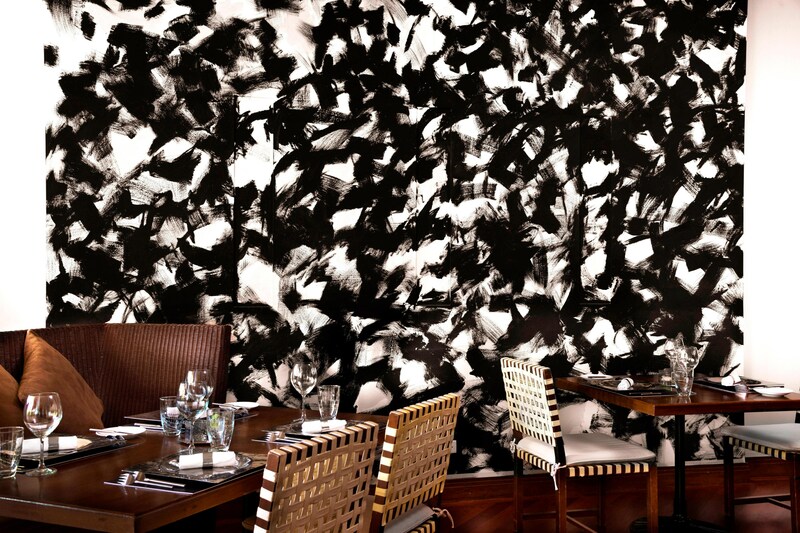 The striking décor and graphic artwork create a bold backdrop for a scintillating dining experience. 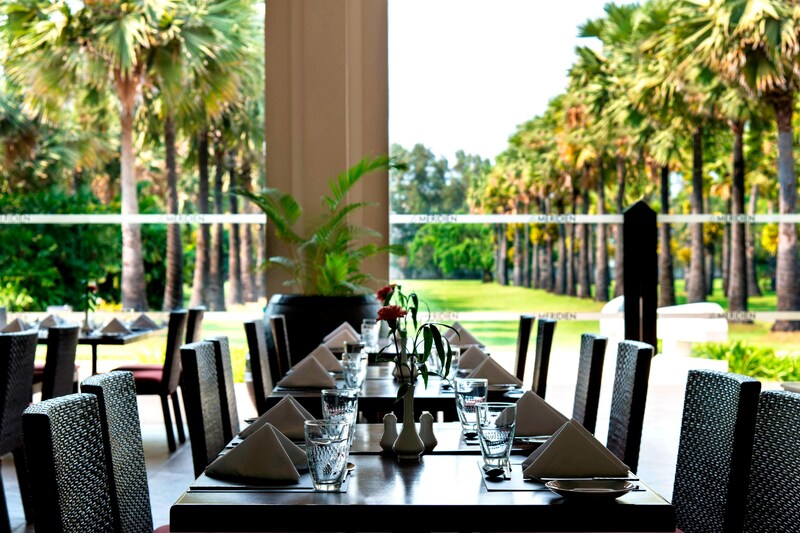 Angkor Royal Café is a brasserie restaurant serving the finest Western, Asian, and local Angkor cuisine in modern Khmer-style. Retreat from Cambodia&apos;s warm weather and enjoy a refreshing cocktail or indulge in a traditional afternoon tea. 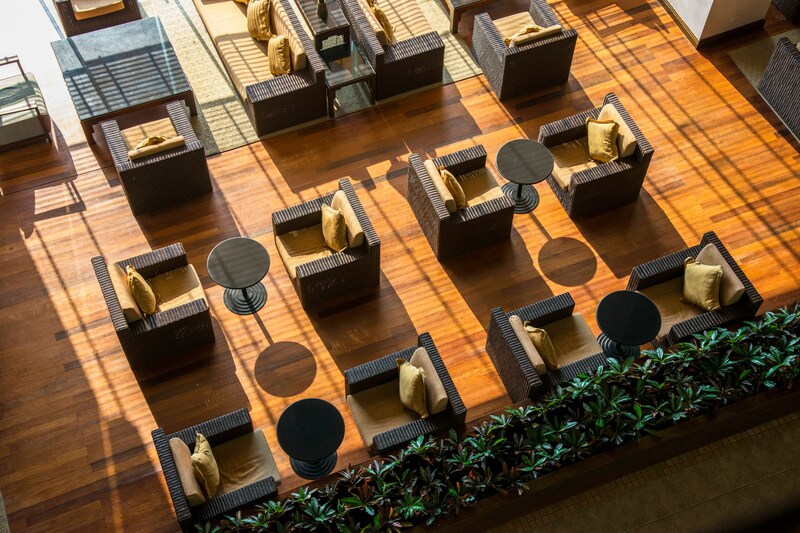 The Lobby Lounge is the ideal Angkor locale for an awakening morning coffee or an evening of convivial conversation. 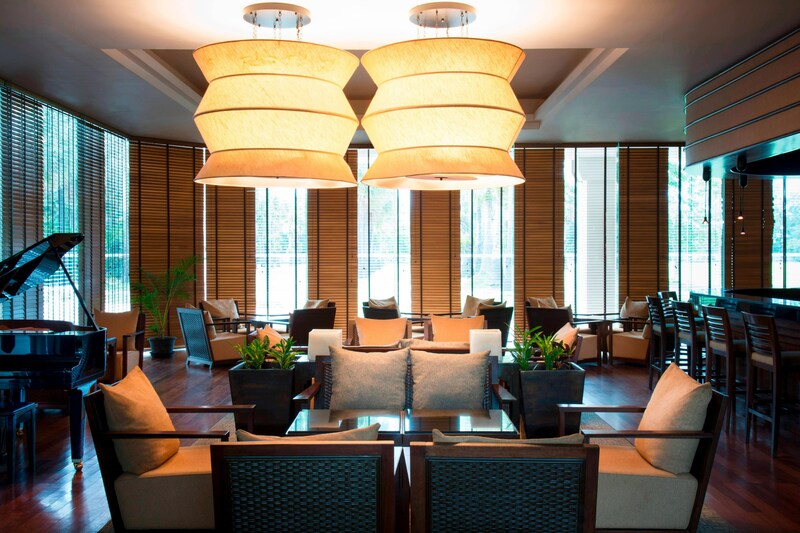 With an ambiance of casual elegance, The Naga Bar serves Siem Reap&apos;s most carefully crafted cocktails. The cocktail lounge&apos;s music, together with its specialty coffees invite an atmosphere of convivial discourse. Allow yourself the convenience of having your meal brought right to your door, and just as you like it. Featuring a Western + Asian menu, accompanied by a selection of wines, cocktails, and fresh fruit juices, the In-room Dining menu is sure to delight. The Cambodian Culinary tradition&apos;s distinctiveness is derived from its abundant local ingredients, coupled with time-honored techniques, and influences from Thailand, Vietnam, China and France. 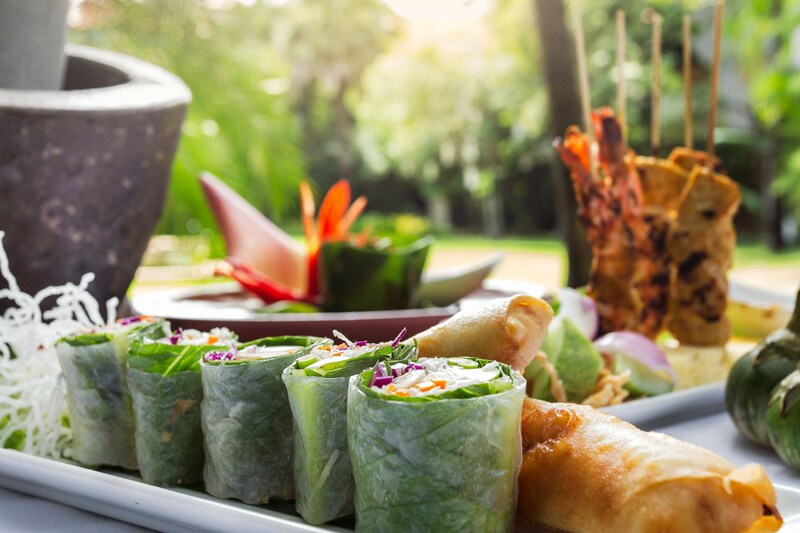 In an effort to showcase the best local Khmer cuisine, Le Méridien Angkor will focus on a different indigenous ingredient or festival every month. 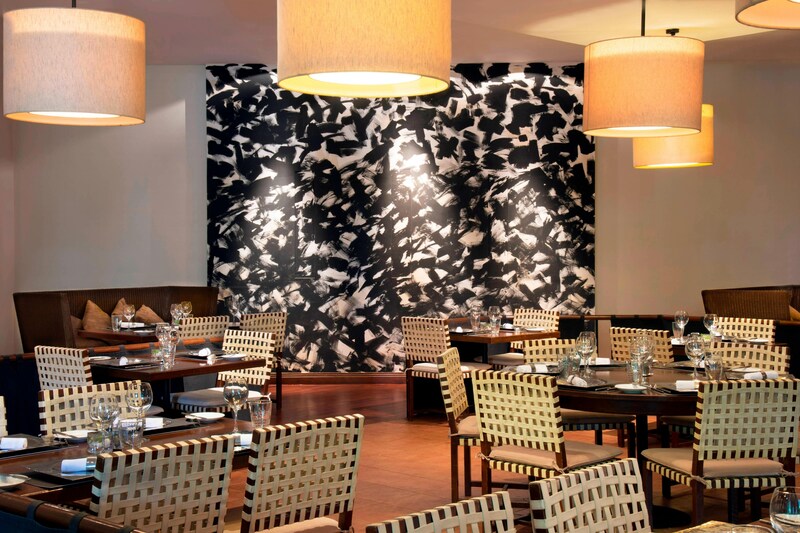 Chi Restaurant and Bar is an Asian fusion restaurant that specializes in contemporary and classic dishes from multiple Asian cuisines. Kitchen Angkor Chey serves traditional Khmer dishes and provide in-house entertainment with their nightly cultural dances. A cozy cafe where you can come to get a late night drink and experience some of the finest Cambodian cuisine. 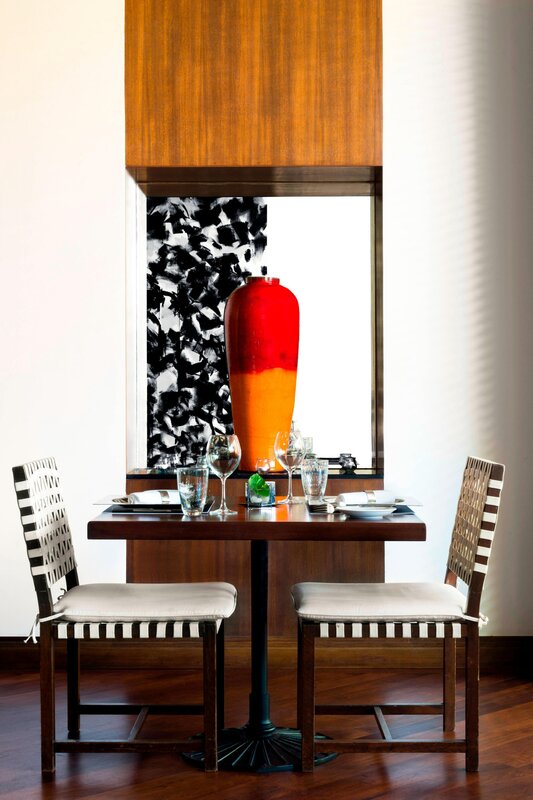 Enjoy a little sweet "joie de vivre" with this chic treat at Le Méridien hotels. Featuring an array of effervescent offerings and spritzers, this cocktail program brings a spirited flair to gatherings at the Le Méridien Hub.